PAKISTAN: Thailand-based Modern Energy Management (MEM) is providing asset management advisory services on Pakistan's first utility-scale wind farms. The projects, each 50MW in size, are located in the Sindh Valley area near Karachi, southern Pakistan. Each project consists of 20 Nordex N100 2.5MW turbines. One has been operational since December 2014 and the other since April 2015. "Both are coming out of warranty, so there are end of warranty issues to consider such as whether to outsource maintenance work or carry out this activity in-house," said Aaron Daniels, managing director of MEM. A decision should be reached by the end of this year. MEM is working on behalf of the Islamic Infrastructure Fund, which is backed by investor CapAsia. "Wind farms are not like traditional power assets. We can help to bridge the knowledge gap that investors lack in renewable energy plants," said Daniels. Although turbine suppliers will maintain the plant, MEM will go through operation and maintenance (O&M) agreements with a fine toothcomb approach. "For instance, what does the agreement cover and what doesn't it cover, such as the substation and balance of plant equipment," he added. The CapAsia private-equity fund specialises in medium-sized infrastructure investment in non-BRIC emerging Asian markets. 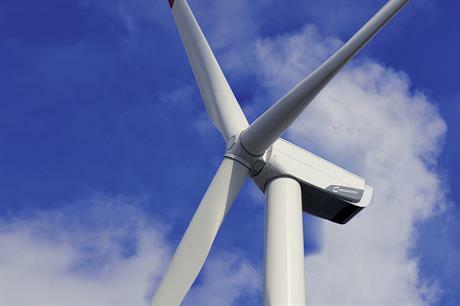 The two 50MW wind farms are MEM's first deal in Pakistan. In the coming weeks it will announce a new wind project in Pakistan it is working on, with a "significant pipeline behind it". MEM will be providing its services in the development, construction and asset management phases. MEM, set up in 2013, has mainly advised on development and construction phases of renewable energy projects in emerging markets, on areas that include project management and project engineering. The company is growing its pipeline of asset management work, including a 36MW wind farm in the Philippines. MEM is also active in some of the region's most embryonic wind markets, including Myanmar and Cambodia, where it has been contracted to carry out wind resource assessment and site-hunting for clients.